How to Have A Match Made in Heaven co-authors Ariel & Shya Kane; Do you want a match made in heaven? Are you wondering how you can transform your life so that you can have a fulfilling, satisfying relationship? Do you want to take your current relationship from good to excellent? If so, tune in to watch Kari interview these award winning co-authors and find out how you can find the exceptional relationship like they have and what it takes to find and keep love. As Shya says, “We don’t walk our talk, we talk our walk,” meaning they give to people the keys by sharing what has worked to keep their almost 30 year married strong, sustainable and happy! 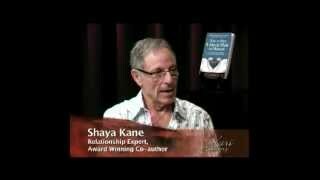 With their recent and fourth book in publication, How to Have A Match Made in Heaven: A Transformational Approach to Dating, Relating and Marriage, the Kanes teach you how to be kinder and gentler with yourself first so that you naturally relate, engage and attract into your life more quality and satisfying relationships. It’s a must read.